Becoming a police officer in Oklahoma can give you a stable career, decent pay and lots of perks and benefits. 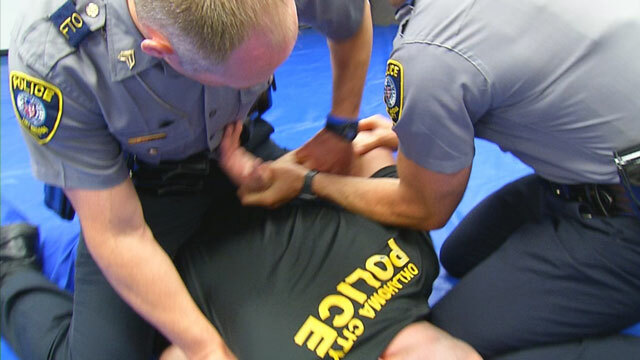 Getting accepted into a police academy in Oklahoma, however, is a tough task that you have to prepare well for. But before even thinking of entering the police academy, you should first familiarize yourself with the police academy requirements in Oklahoma. You should be a U.S. citizen with a valid driver’s license and of good moral character. You should be between 21 to 45 years old. You also need to hold at least a high school diploma. Aside from these requirements, you need to be in excellent physical condition. You must not have had any felony convictions as well. If you meet all of these requirements, proceed to the police department headquarters. If you pass the initial screening, you will go through a physical ability test and written examination. If you want to join the Norman police department, learn more about their requirements by clicking this. If it is the Oklahoma police department that you’d like to be a part of, learn more about the recruitment process by clicking here. The physical ability test is one of the distinguishing aspects that sets the police enlistment process apart from the recruitment system in other fields. In Oklahoma, the physical test usually comprises of a 1.5 mile run which should be completed in 15 minutes, 20 seconds or less. You also have to do 27 repetitions of sit-ups in one minute, make 18 push-ups in the same amount of time, and complete a 300-meter run in one minute and 18 seconds. You have to pass all of these tests in order to get to the next phase of the recruitment process. It is thus important that you prepare hard for the physical ability test by regularly working out. Your work-out regimen should focus on strengthening your shoulders, chest and arms. You also need to improve your cardiovascular system by engaging in activities like running and swimming. If you are not a health buff, then you might have difficulty in measuring up to the physical fitness test standards. You should train for at least six weeks in order to prepare yourself for this part of the recruitment process. Build up your cardiorespiratory endurance, muscular endurance, and improve your upper body strength if you really wish to join the police force. You can get more tips on how to prepare for the police academy particularly the grueling physical ability test by reading the “Prepare for the Police Academy” guide that you can order from here. This guide will teach you how to train for the physical ability test and enhance your chances of getting admitted into the police academy. It will also teach you how to prepare for the other aspects of the recruitment process like the written examinations and panel interview. The written exam usually covers areas like vocabulary, grammar, spelling, mathematics, problem solving, and reading comprehension. In the Oklahoma City aptitude test, a minimum score of 70 is required for you to pass the examination. The test covers five areas with the following percentages: 20 for visual memory, 25 percent for vocabulary and word usage, 20 for reading comprehension, 25 for basic mathematics, and 10 for logic. In case you plan to join the Tulsa police department, you can find a sample written exam here. If you pass the written exam, then you’ll proceed to the next phase of the application which is the personal history statement. You will be required to submit requirements like college or high school transcript, original birth certificate, copy of marriage license, applicant stability rating procedure, amongst others. After submitting all the required papers, you’ll be scheduled for a personality assessment. The personality investment includes personality assessment such as the California Personality Inventory which predicts your tendency to show criminal delinquency. The inventory also reflects the applicant’s personal integrity and social maturity. Your answers to the personality investment will be evaluated through a polygraph test. This is to verify if you are telling the truth. Should you pass the preceding tests, you’ll be subjected to a comprehensive background investigation. The investigators will conduct background interviews with your family members, neighbors, friends, colleagues, and past employers. The investigators will check all the information that you have relayed throughout the application process. If you been lying about what seems to be a very miniscule detail, then the investigator will eventually find out about this and you’ll be disqualified immediately. Should you pass the background investigation, you’ll move forward to the next step which is the interview with the Employment Assessment Board. The chief responsibility of the board is to assess your qualities, characteristics, and skills and whether you are fit to work as a cop in Oklahoma. The chief of police in the area you are applying in will select the applicants who will attend the police academy. But before you get selected, you should also complete the medical examination, psychological evaluation and drug tests. When you are accepted into the academy, you’ll be training for around 28 weeks. You’ll get uniform, equipment, and salary. There will be numerous subjects that you’ll take during this period, such as criminal law, firearms training, first aid, self-defense, police community relations, and principles of investigation. You’ll also learn how to operate and maneuver a vehicle during emergencies and how to relate with minorities. Upon entry into the academy, the annual pay you’ll get is approximately $42,908. This translates to a pay of $20.55 per hour. But once you have completed the required one-year probation, you’ll get a raise with your hourly compensation pegged at $23.31. You’ll also be entitled to uniform allowance, longevity pay and college incentive pay. Whether you intend to join the Broken Arrow police department or Lawton police department, you’ll be in for a tough recruitment process. Prepare yourself for the grueling application process by learning tricks from “Prepare for the Police Academy” guide.